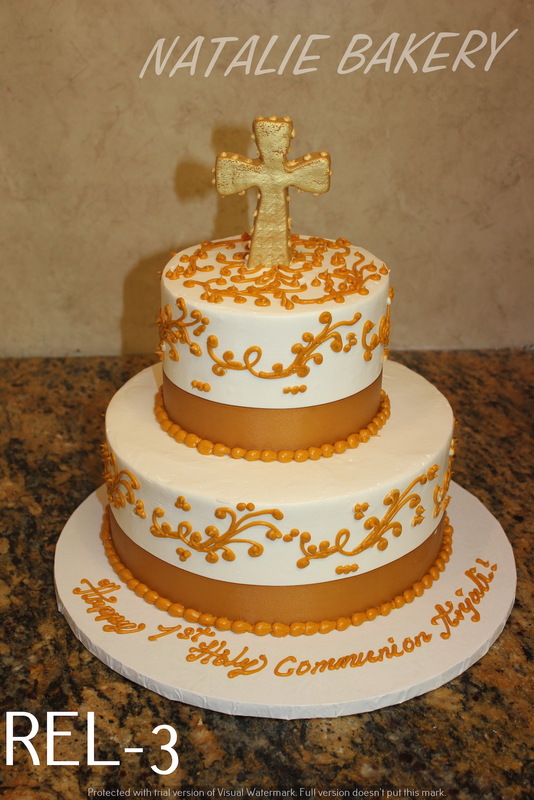 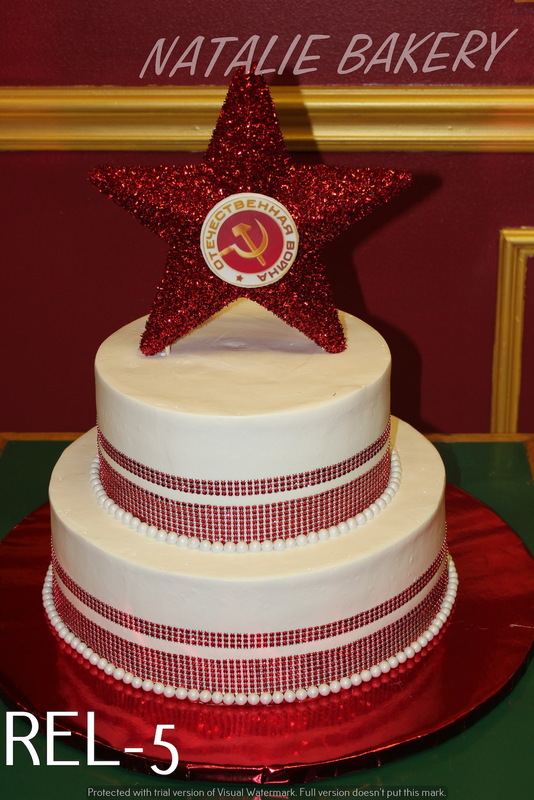 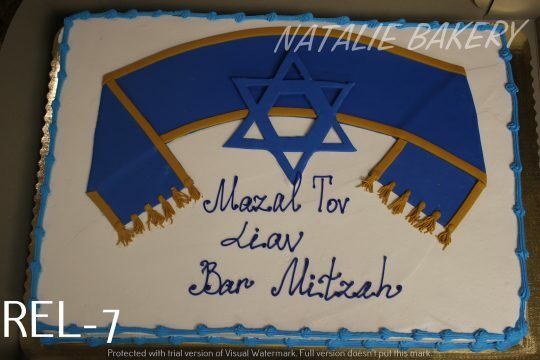 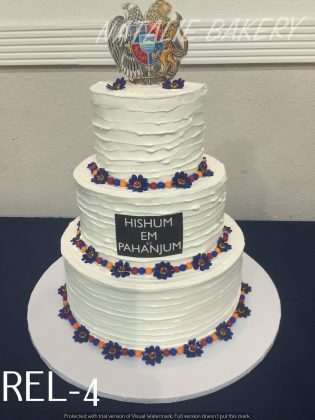 Do you need the perfect cake for your religious celebration or event? 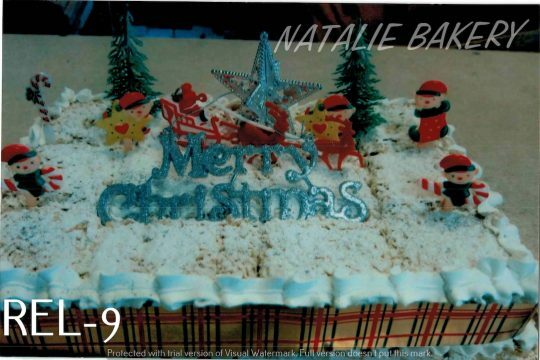 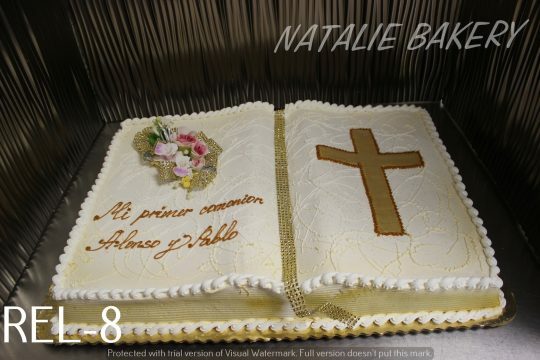 Whether it is a religious holiday or any other religious celebration, Natalie bakery is the best bakery for great tasting religious cakes, made from the purest ingredients. 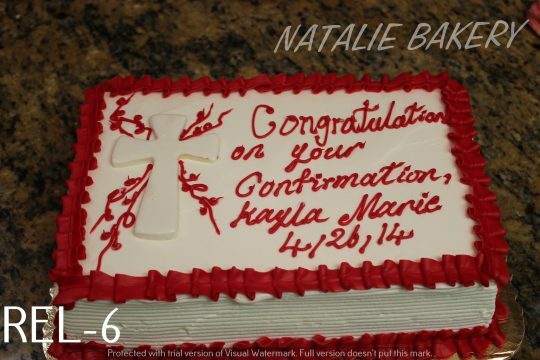 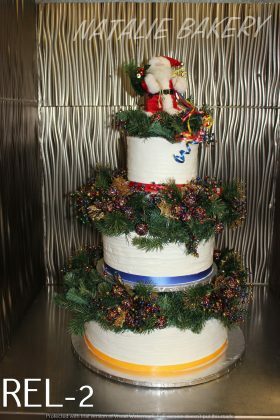 We customize our religious cakes to your specific requests and decorate accordingly. Our quality and service always exceeds our clients’ expectations; little wonder we pride ourselves in maintaining a long list return customers. We will deliver to clients in Plano, Allen, Frisco, Mckinney, Little Elm, Dallas, Lewisville, Carrolton, Uptown-Downtown Dallas, Fort Worth, Arlington and the rest of DFW Metropolis. 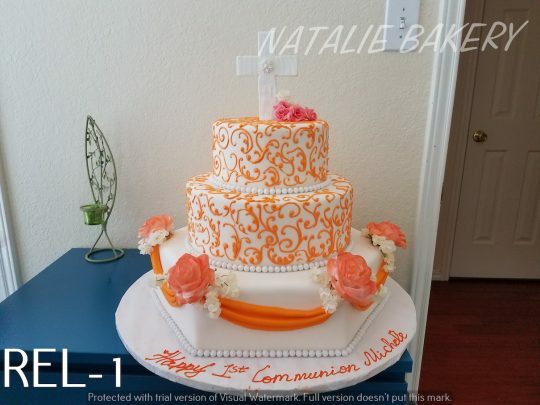 Call us at (972) 964-4044 and order your Religious Cake today.